I've been a Dental Assistant for over 28 years and I have loved every minute of it. Meeting new people and hearing their stories, helping them with their dental needs and just making friends are the highlights of this job. As the saying goes "Choose a job you love, and you will never have to work a day in your life," it is so true and applies to me. I grew up in Perry Ohio and raised my two sons in Madison with my husband Tim who I have been married to for 36 years. We now have 3 beautiful and funny grandsons that make our lives complete. We have adopted 3 Tea Cup Yorkie's in the past few years that were rescues and they fill our lives with love, wet kisses and lots of laughs. 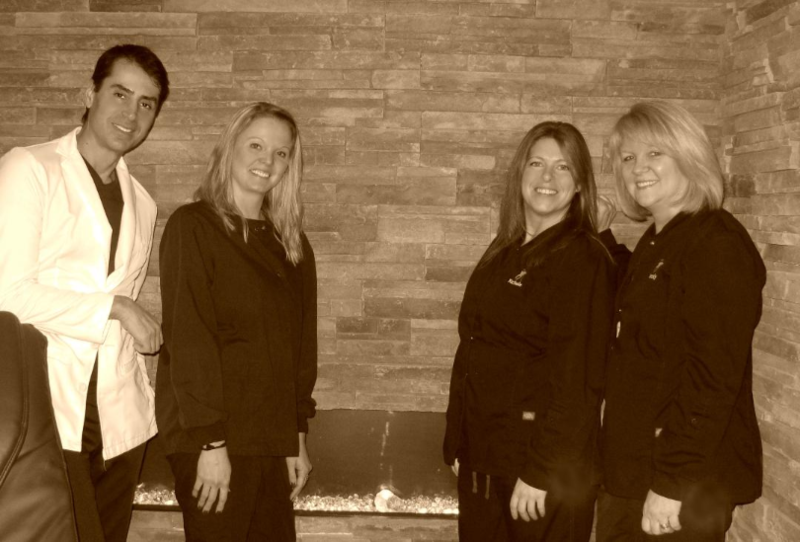 I've been with Today's Dentistry for over 11 years and have known Dr. Iranpour for over 18 years. He is a great dentist and I believe in his theory on dentistry and trust him, as I have sent a number of my family to him for treatment. Our office is a clean and calming environment very inviting, not clinical and cold as so many can be. We try to remember your name and make you feel welcome when you come in. I look forward to seeing you in our office and to make a new friend. I received my Dental Assistant License in 2013 and I've enjoyed every step in my dental journey since. Recently, I've joined the team here at Today's Dentistry where Dr. Iranpour, Sandy, and Natasha have welcomed me with open arms. When I'm not assisting, I volunteer my time at a karate school in Cleveland where I've been for 11 years. I look forward to meeting all the wonderful patients and assisting with all their dental needs. Ashley graduated from West Liberty University in 2007 with a Bachelor and Associate of Science Degree in Dental Hygiene. 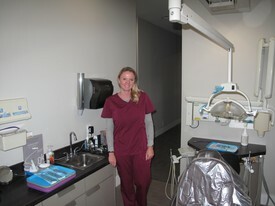 She furthered her education in 2011 and received Local Anesthesia Training from Stark State College. She loves working in a patient centered environment where overall wellness is met with a high standard of care. When Ashley is out of the office she enjoys spending time with her husband, Zack and two English bulldogs, Meathead and Tater. Traveling, visiting loved ones, and any kind of outdoor activities are also must have in her daily living!